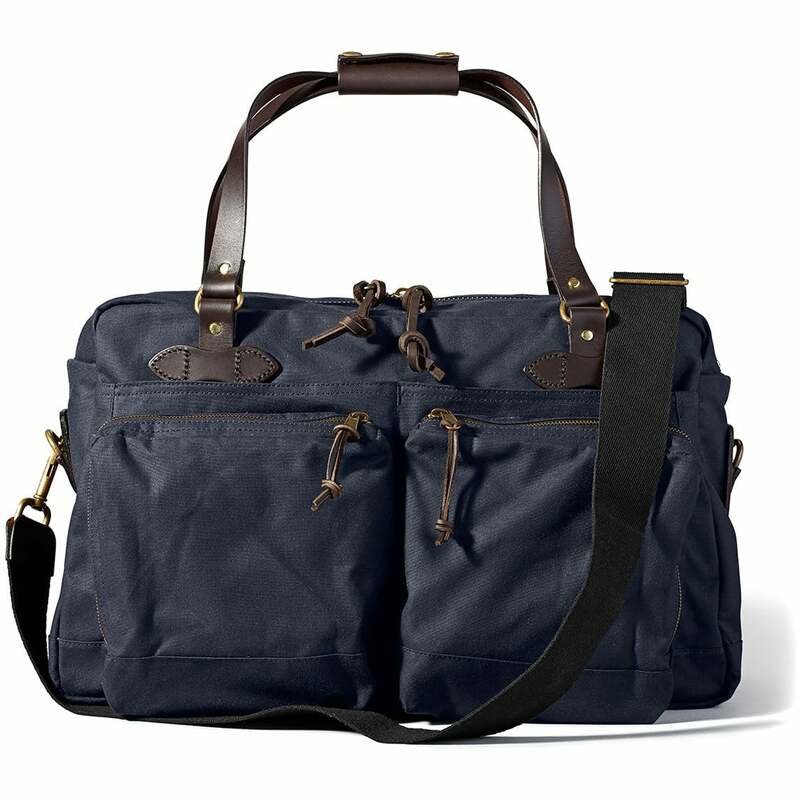 Filson's 48-Hour Duffle Bag is ideal for overnight and weekend trips. Oil finish Tin Cloth repels rain and snow to keep contents protected. An adjustable, removable shoulder strap allows shoulder or cross-body messenger carry. Outfitted with Bridle Leather straps for hand carry, and a trolley strap for use with rolling check-in luggage. Use it on the jobsite, in the field or as a carry-on bag – this versatile duffle is up to the task.